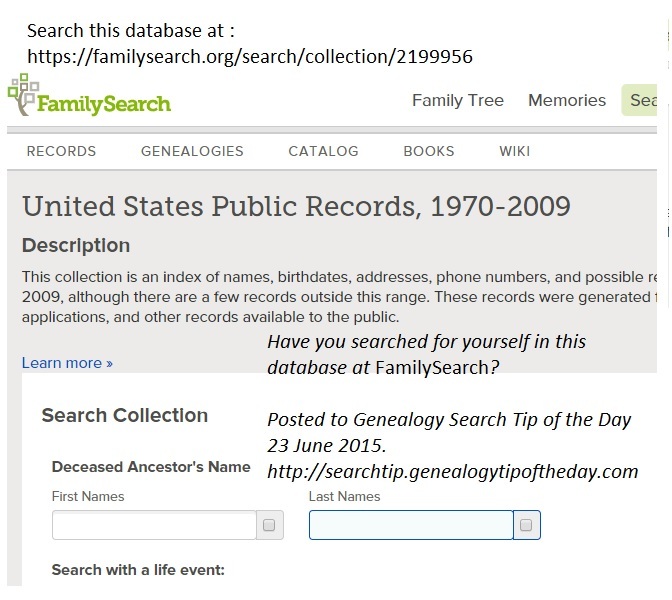 Have you searched for yourself in this database at FamilySearch–“United States Public Records, 1970-2009?” It’s not perfect. It has my wife’s birthdate as mine. This entry was posted in Uncategorized on June 24, 2015 by mjnrootdig. I did search myself (the birth date is wrong) and my husband (his birth date is also wrong) – a LESSON in not trusting what has been posted! Good leads, but not necessarily accurate information. There are problems with my record, too. It lists me as moving in 2008 from the house where i still live. We moved to this house in 1988. The record shows my prior address, and states that I moved from there in 2001. The date for when i moved to that address is incorrect, as well – it’s about 3 years later than when i actually moved there. My husband’s record is even worse. It shows his current address as being in a different town and state from where we currently live. We’ve lived in that state, but nowhere near the town. And it lists him as living in the mid-1990s for about 3 years at an address we live at in the late 1970s until about 1981. My father is listed as living in the house where i grew up until 2004. He died in 1991. 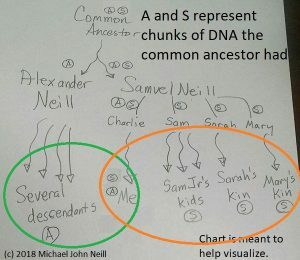 I searched for about 6 different relatives and there were mistakes in all of the records.